With over 10 years experience in event lighting design, your Kramer Events team can take your vision and turn it into reality. Transform your room with your colors. Highlight your centerpieces, cake, or food stations with our pinspots lights so they come to life. 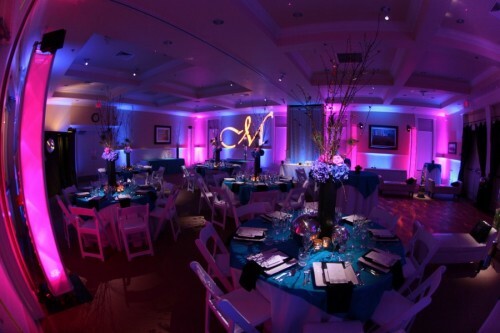 Customize your room with a custom projected monogram or image on your wall or dance floor. Create a sense of elegance with our crystal chandeliers. 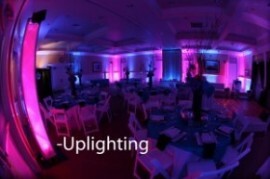 Your lighting is installed by our full time lighting designer and our lighting design team, not our Host MCs. This allows your Host MC to focus on the wedding details instead. Our team is familiar with the electrical and logistical requirements at each central coast venue. 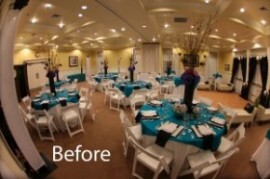 We would be happy to show you our portfolio of lighting examples from your venue at your consultation. 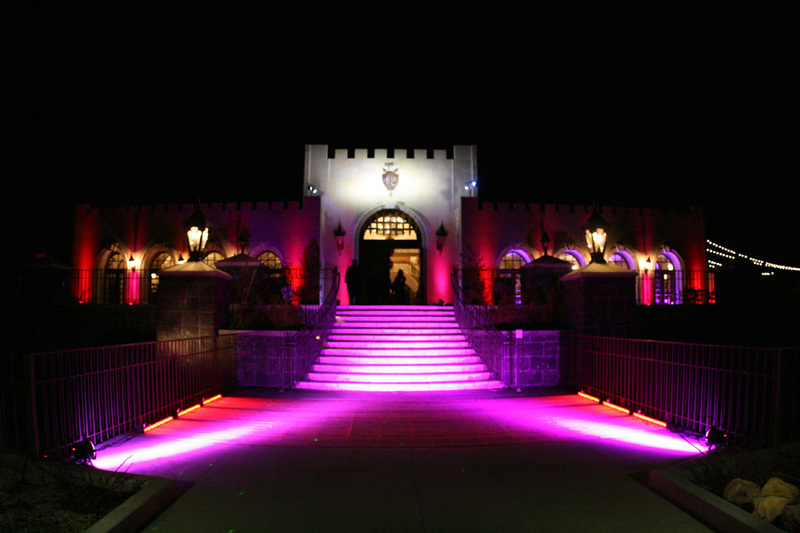 If lighting services are booked with our Host MC service you will have someone on site the entire event to perform color or lighting changes. Your Guests will be breathless when they walk into your reception.